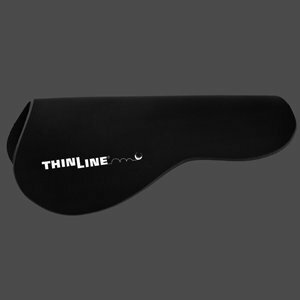 The ThinLine Half Pad is our most basic ThinLine Pad, and remains one of our Top Sellers! It covers only the weight bearing surface of the saddle and is designed to be very minimal and discreet -- you can barely notice it under the saddle! 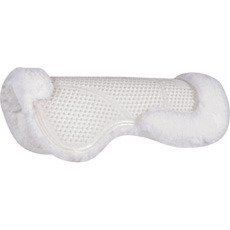 This pad will mold to your horse's shape when warmed to body temperature, and should be used on top of your regular saddle pad, directly underneath your saddle. It will flex and move with your horse so there is no pinching or pulling across the withers or spine. For horse's that need a saddle pad with more wither profile or spine clearance, take a look at our Thinline Trifecta Cotton Half Pad or our Saddle Fitting Pads. This ThinLine Half Pad measures 17.25" across the shoulder, 21" long, and 13.75" in the seat and usually fits most english saddles up to 17". 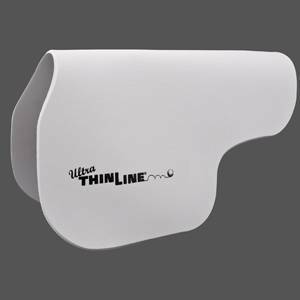 If the panels on your saddle are larger than these dimensions, if you have left-right slippage problems, or jump large fences, take a look at our larger sized ThinLine Contour pads. These ThinLine pads are 1/4" thick and available in untrimmed edge only.